I was asked to be the keynote speaker for the Annual Federal Women’s Program in Wisconsin in June 1991 at Ft. McCoy (midst Desert Storm). Over 250 female officers and enlisted personnel attended. Former Wisconsin Gov. Tommy Thompson was there, along with a lot of brass. I think the brass were a little nervous about what I might say, as I was not military; I was a manager in private industry. Women’s roles were changing in the private sector and the military, and I was asked to speak about strides made by women in managerial positions and challenges faced by women whose goals included “climbing the corporate ladder”. I titled my speech “A woman as a modern leader”. Last year, I came across a copy of it in my old files and read it over. Funny, it was written over 22 years ago, yet much of it, I believe, is still pertinent today (uncanny and a wakeup call to women). The speech was 50 minutes long so I won’t share it all, but I would like to share the key points and see what you think. Businesses are shifting from CONTROL management to COMMITMENT management. In a control environment, people will only do as much as is necessary to get by. No longer can people manage their businesses through unilateral control; they have an imperative to involve employees in the future of the business and get “buy in” through commitment. They are understanding the impact all workers in the corporation can make; they are recognizing committed employees affect, not only their jobs, but the corporation. Old cultures made DEMAND decisions; modern business understands the need for CONSENSUS decision. In a Demand decision environment, you have a winner and you have a loser; the winning party will impose its position, its solution on the other. The loser will be forced to accept that position, but will continue the conflict either internally or externally. This situation will bring feelings of elation to the winner and strong feelings of rejection, and failure to the loser. If all parties are to accept, and make the final solution work, each must feel they are a winner. Consensus at all levels is required to succeed. The past abounded with INDIVIDUAL work; now there is a focus on TEAM work. For years, employees saw only their piece of the business, and never saw how the entire business process or product fit together. Now they begin to realize how all work actions combine into an end to end process, and the inherent and important piece they fulfill. This was particularly true of the automotive industry, a traditional assembly line production system. Each employee saw only their small piece of the car, with little or no knowledge of how that piece fit into other parts that ultimately made up the car. Quality suffered, and the American auto industry began to falter. Now, you see the quality in the industry begin to turn. Why? Many of the major companies have implemented a process called “QUALITY CIRCLES”. It is a team oriented approach that ensures an understanding by all of how each part and each person in the process relate; and the team is charged with, not the quality of the spark plug, but of the entire engine. And members of the Quality Circle are cross-trained in a variety of jobs; there is less boredom, more pride, a sense of job enrichment and increased responsibility. Managers controlled their people through FEAR and THREATS; that doesn’t work anymore. Managing through POSITIVE REINFORCEMENT is an imperative, since people are motivated in a variety of different ways today than yesterday. People need to feel important, and they need to know when they are doing well; they need an affirmation that they are moving in the right direction. They need to know how they are doing; they are self-aware and need reinforcement that they are OK.
Managers and corporations had UNSTATED VALUES AND VISIONS; now we see a SHARING of those VALUES and VISIONS. Those values and visions need to permeate throughout the corporation. Now you see corporate mission statements that are clear and simple; they contain values that each employee can understand and focus on in all jobs performed. Employees need to relate their work to the corporate values. These values need to be shared and understood because they are the foundation for focusing attention and guiding decision making. They are the primary source of dedication and commitment within the organization. So have a sense of urgency; learn the business, not just your job; foster creativity and innovation; have a passion for quality in everything you do. How relevant today are these thoughts from 22 years ago? 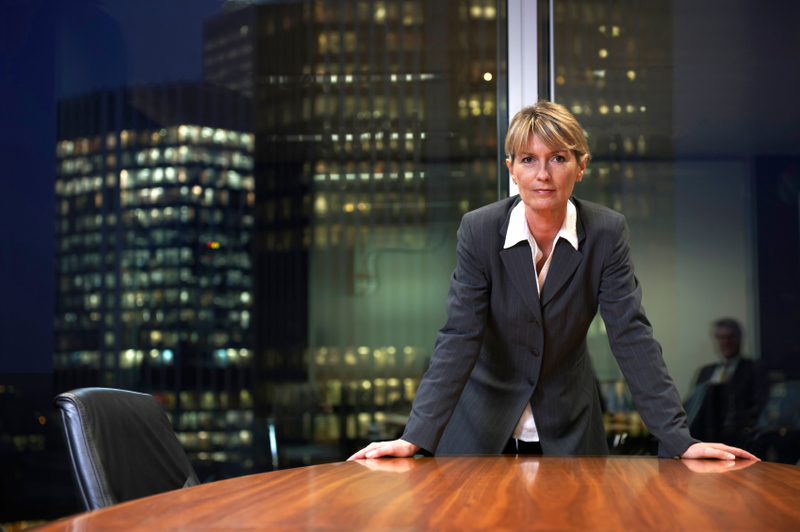 How has the position of women in business changed in the last 22 years? I read a lot about megacorp female promotions, e.g., Yahoo, General Motors, etc. What about the “average” business”? Any changes there? Feel free to leave your thoughts below or you can reach out to us on Twitter and Facebook. Great blog! Perhaps your next one can go into greater detail on the six qualities of a great leader. I’ll try! Thanks for the head’s up!